IDA-STEP is a new generation of standards-based tools from LKSoft. IDA-STEP is a fully modular application - you can create your own perfect IDA-STEP application for various data viewing and management purposes. IDA-STEP is based on international standard ISO 10303 (STEP) and supports various kinds of STEP data. 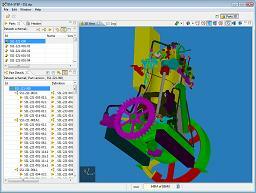 With the free IDA-STEP Viewer Basic component, IDA-STEP is capable of viewing 3D/2D models, PCB/PCA, PDM and other data. When extended with available components IDA-STEP can provide data management and creation capabilities, import from other CAD systems and export to various file formats. Components for IDA-STEP are constantly being developed to provide new functionality to the application and update the existing components. Download IDA-STEP with a free IDA-STEP Viewer Basic component now from the Download page. Extend IDA-STEP funcionality with additional components, which can enrich your data viewing experience of provide powerful new features. Continue reading this page for more information about IDA-STEP components. Download IDA-STEP with free IDA-STEP Viewer Basic component here. 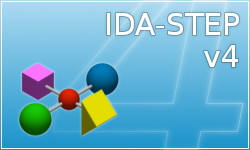 IDA-STEP is a fully modular application. Its functionality depends on the installed components, which may complement each other or provide totally different functions. Export components to export data from IDA-STEP to various formats. Only the required components can be installed thus allowing to create a required IDA-STEP application without unnecessary features. View more information about IDA-STEP components here. IDA-STEP is based on an international standard ISO 10303 (STEP), which defines the standard product data representation and exchange. This architecture gives many advantages, such as universal data exchange, long-time archiving, data integrity and accessibility and more. IDA-STEP is based on STEP modular approach (ISO 10303-1xxx), combining mechanics, automotive, electronics and electrics in one consistent set of data models. These combined data models wrap up the functionality of many STEP Application Protocols, including AP201, 202, 203, 210, 214, 236, 239, 242 and more. 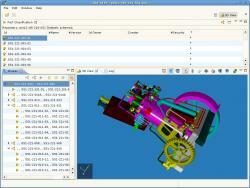 AP242: Managed Model Based 3D Engineering (currently in Committee Draft, will replace AP203 and AP214). View more information about ISO 10303 (STEP) standard here.